The main purpose of the User Group is to look at the new technologies coming from our vendor, Progress Software, and to interpret these technologies from a practical point of view. When Progress introduces new technologies, they will present them as new, possibly radical, possibly disruptive but above all, easy to adopt. The technology will be demonstrated with a simple demo, showing a result with just a few strokes of the keyboard and a couple of mouse clicks. However, all experienced developers know that this isn’t always the reality. Every tool-set has quirks, a way of using the tool that is effective and sometimes a few bugs as well. Luckily, the User Group is well stocked with hardy souls, the “Early Adopters“, who will see a new technology fulfilling a real world need. They will patiently work with the new technology and shake out the bugs and quirks. They are usually prepared to share this information with the community, allowing User Group members to adopt the technology quickly, without the weeks or even months of patient research expended by the Early Adopters. So the primary function of the User Group is to evaluate Progress technology for the community and explain its real-world use. Sometimes, this will give a user the confidence to try something that up to now they have been wary of. Sometimes, it may make a user realise that a technology they were planning to use is not suitable for their intended purpose. But almost always, it will save them wasting time on experimentation and following blind alleys. Additionally, the User Group provides a forum for service and tools providers from the community to communicate their wares to the rest of the community. It can provide a platform for the community to feed back to Progress comments on anything from issues with the software to concerns about marketing or licensing. It provides a networking environment for users to find out how other users are using the various technologies, which will sometimes spark an idea that hadn’t occurred before. We have an annual conference (usually in the Spring), webinars and occasional workshops, these and other presentations are on the “Members Area“ of the website. 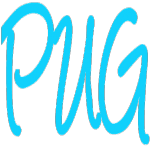 Membership of the PUG gives a large discount for those attending the EMEA PUG Challenge Conference. Find out more about the benefits of joining the PUG, membership prices and how to join. If you would like to help the PUG we offer an Executive Sponsorship package. The User Group depends on the support and dedication of its committee members.